What is the Best Artificial Grass for Me? Whether you are looking to renovate your garden, lay a sports field or liven up your exhibition stand, finding the best artificial grass for the job is a must. 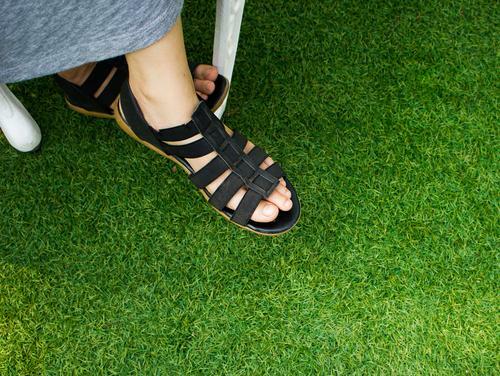 There are many different reasons why users opt for synthetics; because it is much easier to maintain or because they are looking to install in an area where real grass simply is not a viable option. When making the choice to invest in artificial grass, it is important to remember that not all surfaces are the same. While some surfaces are designed for aesthetic purposes, others are manufactured especially for sports use, thus offering the best performance possible. Here we provide an overview of the best solution for each use. When picking out the best artificial grass for a residential area, we recommend a surface that looks every bit as good as the real thing and feels exactly the same. The trick with a fake surface is that, unless you know it is not real grass, there should be no way to tell. For this, you cannot go far wrong with Real Lawn, which is designed to look as natural as possible; consisting of 30mm wide shaped fibres and a more open appearance - perfectly replicating the look and feel of real grass. For sports, while the appearance remains an important factor, it is secondary to the overall performance of the surface. In the past, the use of artificial grass has been criticised which caused many clubs to keep clear, ultimately persevering with pitches that would easily cut up. Now, though, synthetic surfaces have come through in leaps and bounds, arguably providing a superior playing surface than the real thing. Tough Lawn and Luxury Lawn provide the best performance for contact sports such as football, while not causing injury to the players. Picking the best artificial grass for displays and exhibitions can largely come down to the results that you are aiming for. Usually, this will mean installing the turf where real grass is not a viable option, and the surface will not be subjected to any rough play - the aesthetics are all that matter here. Bargain Lawn presents the best solution for companies looking to wow potential customers with displays or at exhibitions, while also keeping costs down to a minimum. If you remain unsure as to which is the best artificial grass solution for your requirement, please feel free to call our team on 01474 364320 today.